Fr. Thomas Maceda, a longtime missionary, teacher and pastor, died March 13 at the St. John Neumann Residence at Stella Maris in Timonium, MD. He was 74. A funeral Mass will be celebrated March 14 in the main chapel at Stella Maris at 7 p.m. A wake service will be held March 15 at 7:30 p.m. at the Basilica of Our Lady of Perpetual Help in Brooklyn, NY. A funeral Mass will be held at the basilica on March 16 at 11 a.m. Burial will follow in Staten Island, NY. Fr. Maceda was born June 1, 1937 in Brooklyn, NY. He grew up in Our Lady of Perpetual Help Parish in Brooklyn, and professed vows as a Redemptorist August 2, 1958. 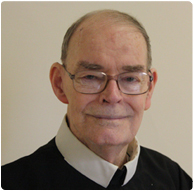 He was ordained to the priesthood June 23, 1963. His assignments included several missions in Puerto Rico and the Caribbean between 1965 and 1972. He then he returned to the U.S. to teach at the Redemptorists’ high school seminary in North East, PA.
Other assignments included pastoral work in Esopus and Port Ewen, NY; Our Lady of Perpetual Help in Brooklyn; and Most Holy Redeemer Parish in New York City. Please pray for Fr. Maceda, and for his family, friends, and Redemptorist confreres who mourn his loss.